Raw Food Recipes that go Nuts for Healthy Hair! 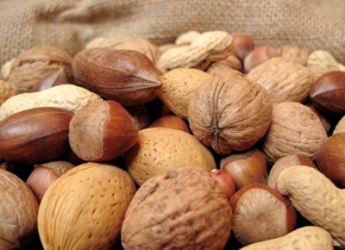 Another ingredient for raw food recipes that will keep your hair and scalp healthy are nuts. Brazil nuts contain selenium, a mineral that supports scalp health. Walnuts, cashews, pecans, and almonds are also great sources of zinc, which support healthy hair. Without it, your hair can start shedding. So while buying the best conditioners and shampoos are one aspect of hair care, your nutrition is the other part. Understanding how foods and minerals affect us specifically will help us have the healthiest hair and scalp so we can grow the longest hair we can. Healthy hair means strong hair, which equals hair and ends which are easier to preserve and take care of. So what recipes can you follow for some nut crunching, stunning hair? Using dark green vegetables in raw food recipes are also good for your hair. Click here to find out more.